Millennials (those born between 1980 and 2000, also known as Gen Y) are driven to succeed by different factors than their predecessors. This is forcing managers to adapt--but rather than a cause for alarm, this workplace demographic shift is best viewed as an opportunity to capitalize on the strengths and priorities of these younger employees. The prospect of dramatically altering your company's management strategy to accommodate a new generation might seem daunting. 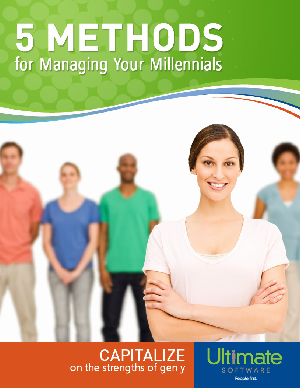 However, by keeping a few key principles in mind, your managers can lead their millennial employees without missing a beat. The changes to the makeup of the future workforce are inevitable, but with these simple steps your business can thrive in this new climate.